The match got off to the best possible start for United, taking the lead within a minute. Stuart Armstrong was heavily involved in the goal: receiving the ball from John Rankin on the edge of the ‘D’ before slipping an inch perfect ball through to Barry Douglas who lashed the ball across the goal and into the bottom corner from just inside the box. The home side looked to respond immediately but Dušan Perniš was on hand to stoop low and gather Cillian Sheridan’s shot on the turn at his near post. United had a good chance to extend their lead when Barry Douglas played the ball into the path of Dalla Valle only 14 yards from goal but the young Finnish striker could only fire over the crossbar. It was end to end stuff at McDiarmid and in the 14th minute both sides managed to create good chances. Following a Saints corner, both Barry Douglas and Willo Flood were forced into making crucial blocks in front of goal to deny Francisco Sandaza and Jamie Adams respectively. Straight from Garry Kenneth’s clearance United broke up the park through Dalla Valle who ran down the left-wing before playing a cross-field ball to Stuart Armstrong on the edge of the box who in turn tried to play a through ball to John Rankin inside the area but David McCracken did brilliantly to get a challenge in to prevent Rankin from shooting. Barry Douglas went close to grabbing his second goal of the game after 18 minutes but his free-kick effort bounced just wide of the post. St Johnstone then got back on level terms through a controversial penalty decision. Whilst attempting to hook the ball clear over his head Johnny Russell was adjudged to have caught David Robertson in the face with his boot and the referee pointed to the spot despite the fact that it should only have been an indirect free-kick for dangerous play at the very most. Ex-United man Francisco Sandaza stepped up to take the spot-kick and he calmly slotted the ball past Dušan Perniš to bring the Saints level. 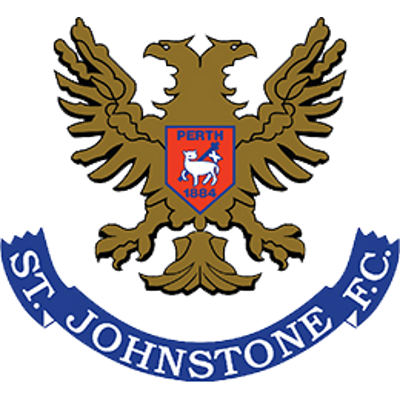 Referee Charlie Richmond was doing St Johnstone some major favours and only minutes after the home side had drawn level they were awarded a dubious free-kick only 22 yards from goal after Garry Kenneth had brushed Jody Morris’ shoulder. From the set-piece Morris touched the ball into the path of Liam Craig who drilled the ball low through the defensive wall and into the bottom left-hand corner of Dušan Perniš’ net. 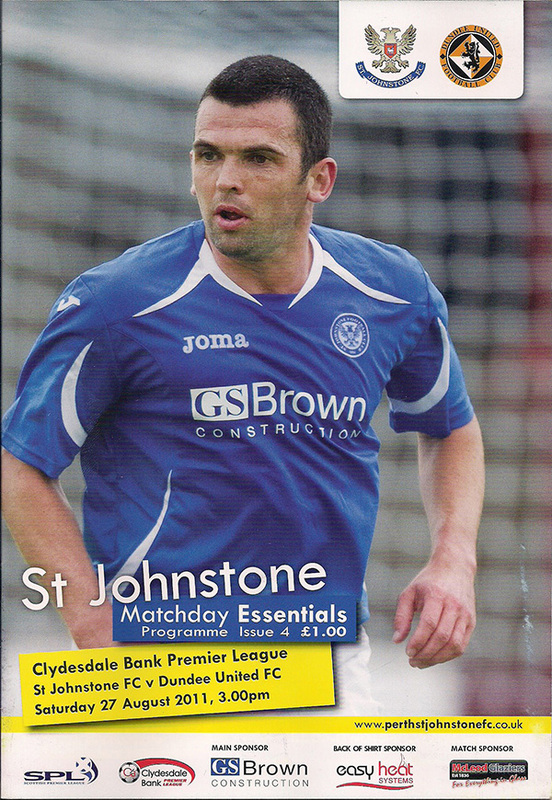 Things very soon got worse for United as St Johnstone scored a third just before half-time: a long ball up the park caught out the United defence and Francisco Sandaza got the better of Garry Kenneth in the box before firing past Perniš to put Saints 3-1 ahead. After starting the game so well, Peter Houston’s men were now left with a mountain to climb going into the second half. Five minutes into the second half and Houston made his first change of the match: goalscorer Barry Douglas making way for Danny Swanson who the United fans behind the St Johnstone goal were hoping would be able to turn the match back around in their favour. Johnny Russell went very close to pulling a goal back for the Terrors when he met Paul Dixon’s superb delivery with a header from 16 yards but the ball flew just wide of the post. United were now attacking with intent and getting numbers forward at every opportunity and Johnny Russell in particular was managing to easily exploit gaps in the St Johnstone defence without really creating any gilt-edged chances. United did eventually pull a goal back in the 80th minute and unsurprisingly the aforementioned Russell was heavily involved in the build-up: beating two St Johnstone defenders in the box before hitting the by-line and squaring the ball across the 6 yard line for substitute Gary Mackay-Steven to score his first goal for the club. The United fans behind the goal had hardly stopped celebrating when their side scored the equaliser: a Danny Swanson corner kick in the 83rd minute was met by recent signing Gavin Gunning whose bullet header gave Enckelman in the St Johnstone goal no chance at all and rescued a point for Peter Houston’s side in a game that at one stage had looked like they’d thrown away. In the dying minutes Lauri Dalla Valle tried his best to grab a winning goal for United: testing the St Johnstone goal keeper twice but in the end it finished all-square.